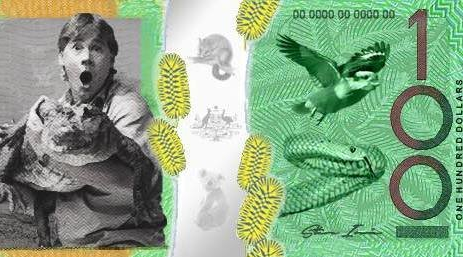 In what can best be described as a classic Aussie move, a petition to put Steve Irwin on its bank notes has gained almost 22,000 signatures. 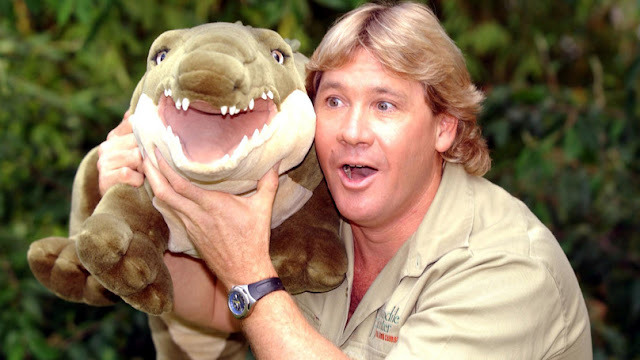 The late Crocodile Hunter died ten years ago and what better way to remember the legend than to have his smiling face plastered all over a $100 bill? Just take a look at this mock-up of what an Irwin $100 note could look like and tell me this isn't the best idea to come out of Australia since the notepad in 1902. 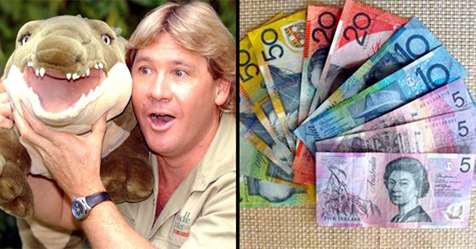 The petition states: "It's about time we paid out respects to the all-time greatest Australian bloke, Steven Irwin." The lad who set up the petition, Kyle Ryan, is hoping to send 25,000 signatures to the Royal Mint and, while it seems very likely he'll reach that target, it's unknown whether the petition will have any influence. Kyle told the BBC that he started the petition because the younger generation don't really know the current faces representing the Aussie currency. Maybe it is about time all currency got with the times? Any suggestions?